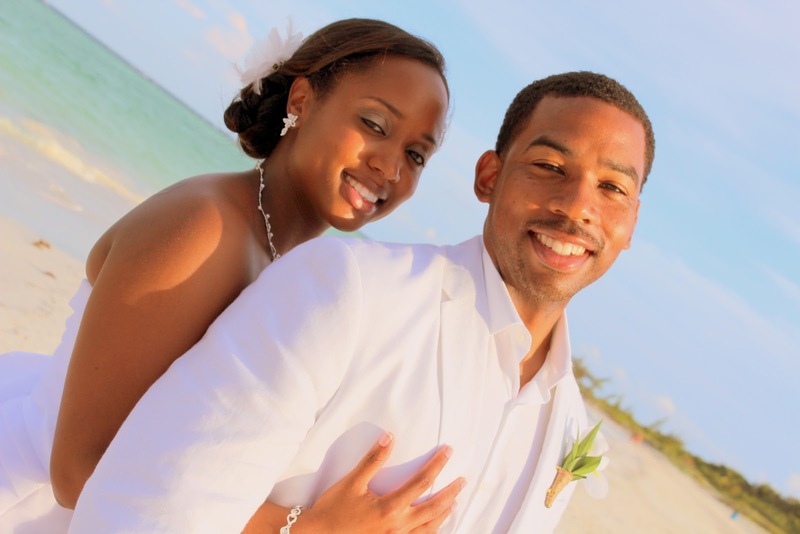 Tiara and Brian wed at the Secrets Maroma! We attempted to plan for a traditional wedding but costs were adding up and we didn’t want to have a long engagement just to have a big wedding for show. We decided it would be in our best interests to not start off our marriage in debt and go with an inexpensive and nontraditional option. Having the honeymoon included was a plus. A colleague recommended it to us after they had their destination wedding there. Getting family and friends to understand why we were having a destination and how it was the best thing for us. Taking our wedding pictures on the beach and the biggest surprise was how great the weather was the entire time we were in Cancun and the sand wasn’t hot! Secrets Resort’s staff was very hospitable and they never slacked in service. The food was amazing and the wedding coordinator made sure we had everything we needed. Go for it and do what is best for you! Not a thing. Maybe use more sunblock!